Oh well, I was never a big fan of seaberries, nutriberries are my favourite. Warming up my duff in the sun is nice though. Failed at BunChores again! 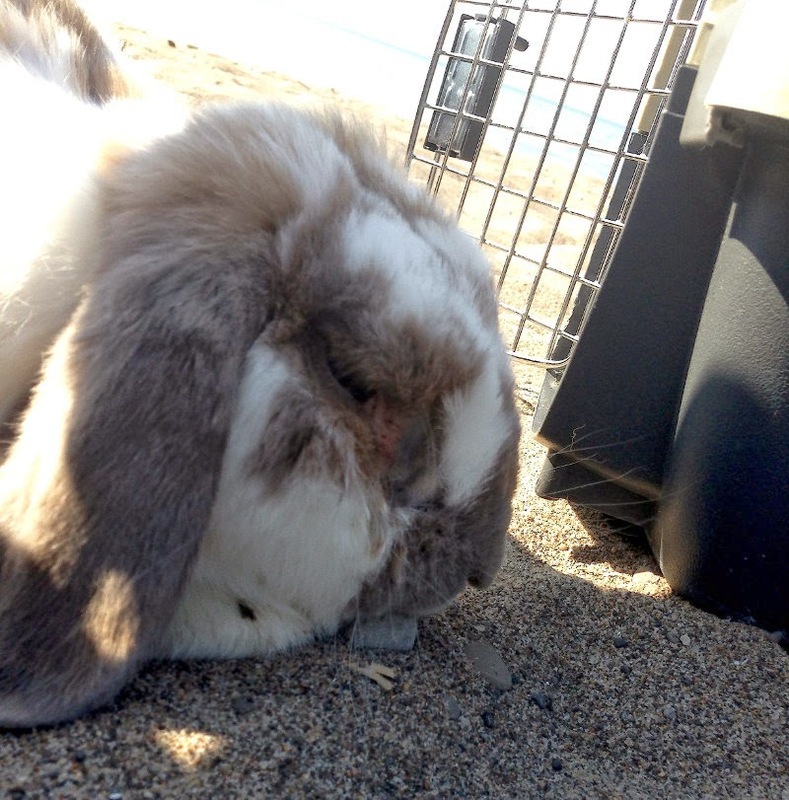 Campari's hoomin, unsuccessful at supplying Nutriberries, was forced to either face a barrage of Disapproval or fly Campari to a Caribbean beach for some serious sun time. Remember, a simple checklist of everyday shopping needs can prevent such tragedies. I'll have a Campari and Disapproval please, and heavy on the Disapproval! Campari is a beautiful bunny! I want to kiss that furry forehead, and those fine ears! Wish I could be there collecting shells with Campari. A friend who grew up in Manchester once told me that there were bunnies near beaches when she was a child and that her favorite thing to do was to do was to pick up the "raisins" and make pretend raisin pies in the sand.